The Church of God in Christ (cogic), an African American Pentecostal denomination founded in 1896, has become the largest Pentecostal denomination in the United States today. In this first major study of the church, Anthea Butler examines the religious and social lives of the women in the cogic Women’s Department from its founding in 1911 through the mid-1960’s. She finds that the sanctification, or spiritual purity, that these women sought earned them social power both in the church and in the black community. Offering rich, lively accounts of the activities of the Women’s Department founders and other members, Butler shows that the women of the early decades were able to challenge gender roles and to transcend the limited responsibilities that otherwise would have been assigned to them both by churchmen and by white-dominated society. 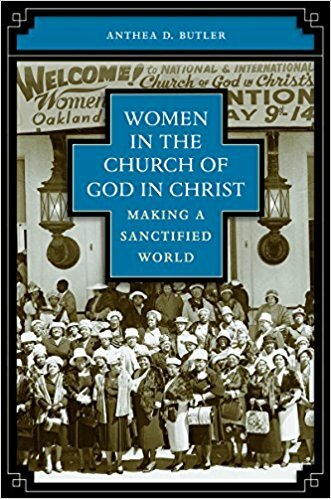 The Great Depression, World War II and the civil rights movement brought increased social and political involvement, and the Women’s Department worked to make the “sanctified world” of the church interact with broader American society. More than just a commentary of church mothers, cogic women used their spiritual authority, power, and agency to further their contestation and negotiation of gender roles in the church and beyond. Anthea Butler is an assistant professor of religion at the University of Rochester.